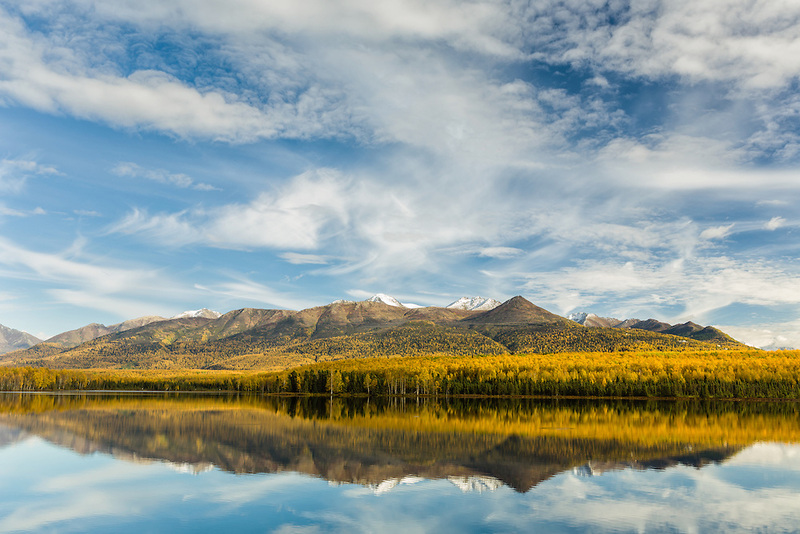 The Chugach Mountains of Eagle River are reflected in Clunie Lake on Fort Richardson in Southcentral Alaska. Autumn. Afternoon.